Come and visit us at the Jacksonville Boat Show this weekend at Prime Osborn Convention Center. 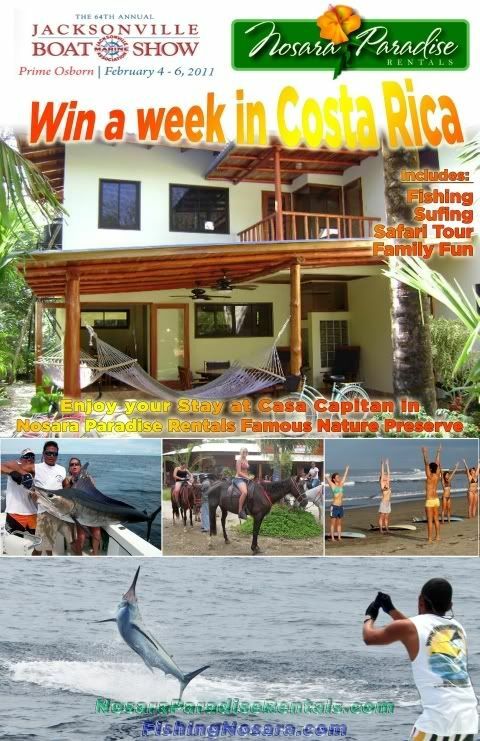 FishingNosara will have multiple booths and we will be giving away a Costa Rica Vacation to one lucky raffle winner. Come on out and show your support! Meanwhile back in Nosara, the Explorer has quite a knack for catching lots of fish in a short time. Yesterday, Hoover caught on the four nice jacks and saw lots of turtles on just a 2.5 hr morning trip.